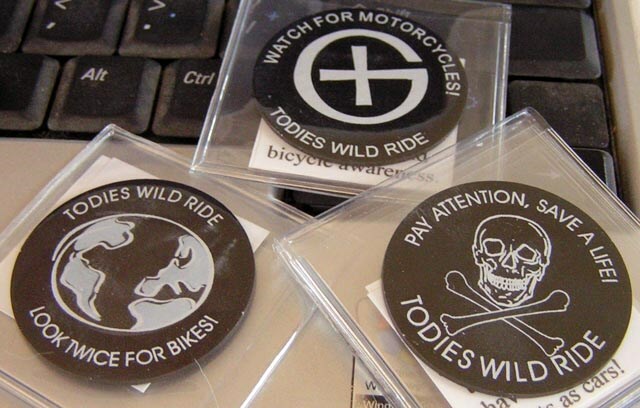 (TB30DNE) GeoCoins.net Trackable Token Geocoin - Todie's Wild Ride II: Look twice for bikes #1! Todie's Wild Ride II: Look twice for bikes #1! Use TB30DNE to reference this item. Gallery Images related to Todie's Wild Ride II: Look twice for bikes #1! Got it again so I will move it on to spread the word. Off we go again. Vrrrmmmmm, vrrrrmmmmm! Thought I put this in the wrong cache so I deleted the log. of placement into In-Between. Just noting that I did place it there. Picked it up and will gladly spread the awareness. And just to drive you a little more crazy... it turned out that the first member of our party to reach the cache thought it was a signature item, not a trackable item and stuck it in his pocket without telling anyone. Then he got distracted and forgot to tell us later. He found it this morning, after I logged that we had not seen it and brought it to me... to show me the cool item he had found. At which point I smucked him upside the head and showed him the tracking number. sigh Can't take these guys anywhere. Sorry about the confusion! It is now in our hands. This is a message to let you know that your trackable item TB30DNE has been marked ‘missing’ by a cache owner or a site administrator. Trackable items are marked missing when it is determined that they are no longer located in the cache they are listed in or in the hands of the current holder. Please review the most recent logs on your trackable item to learn more information about its current state. 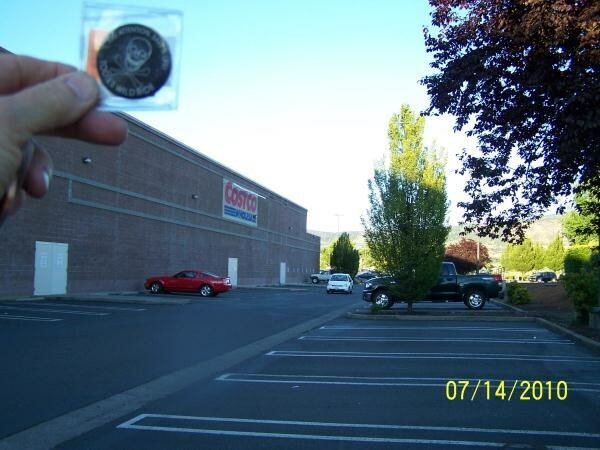 Did not see coin in cache. Hope it turns up sometime!